Art speaks where words are unable to explain. All children are artists. The problem is how to remain one, once he grows up. Art helps in deciphering the mysteries of life. The dilemmas that we are not able to present in words can easily be described through paintings and other art activities. 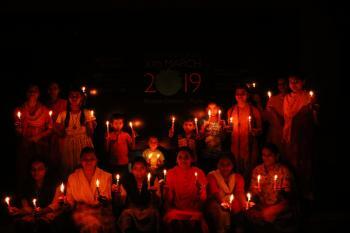 Manthan SVK, an initiative by Divya Jyoti Jagrati Sansthan is working for the education and development of underprivileged children in the society. 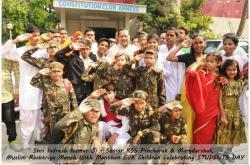 What sets apart this organization is that they not only focus on education of a child, they also works on cultural and spiritual development i.e. overall development of a child. They aim for Sampoorna vikas (Overall Development) of a child. 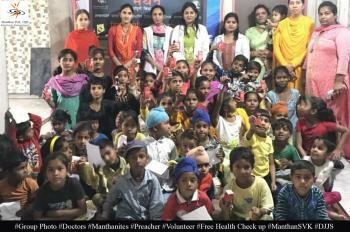 Many other organizations regularly visit various branches of Manthan to encourage the children and boost their moral. Axis bank recently organized a drawing competition, SPLASH in the Gopal Nagar branch of Ludhiana, Punjab. The event was organized on 17th December 2018 from 11 am to 1 pm. 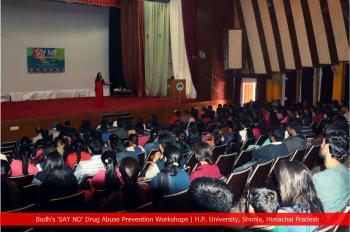 Over 30 students participated in the event. The theme of the day was “Environment”. Mr. Gursharan Singh and Ms. Raman Shukla were there to represent the Axis bank. 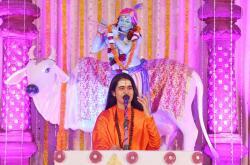 To represent Manthan, preachers such as Swami Prakashanand and Sadhvi Rajni Bharti were present. Students were asked to make drawings on the theme environment. 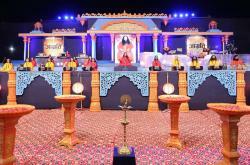 Amazing talent was discovered during the event. Representatives of the bank highly appreciated the talent of the children and also Manthan for the tremendous work they are doing. 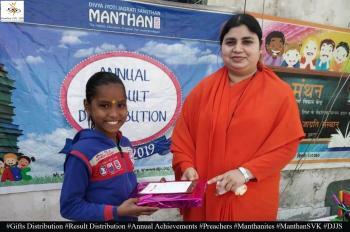 Swami ji explained that at Manthan, they focus on the holistic development of a child. The winner of the competition was promised a trip to Dubai with family. All the participating students were given the participation certificates. Refreshment was also served during the event. 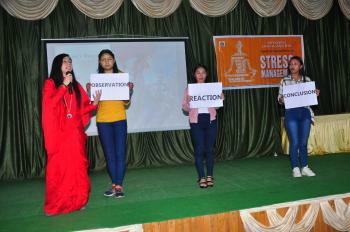 The students were very enthusiastic about the event and enjoyed the event a lot. 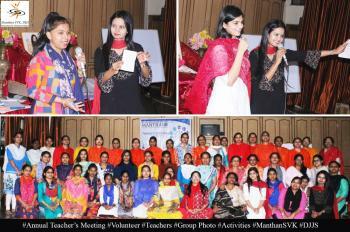 The representatives of Axis bank also enjoyed the visit and appreciated the work being done at Manthan centers.